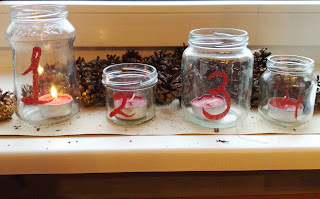 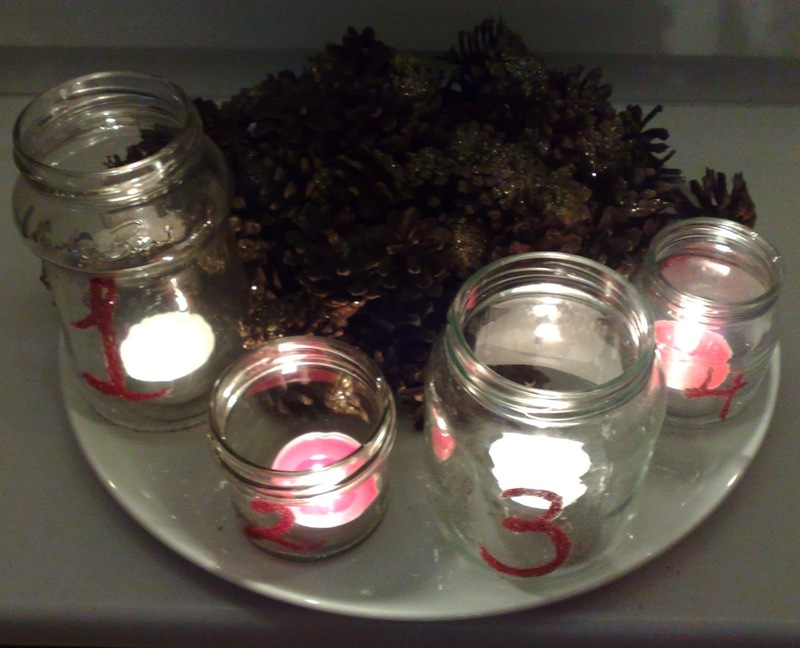 I wanted to make some candle holders with numbers on them for each of the Advents. 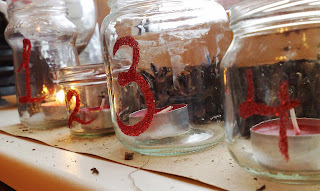 And the easiest way I could think of was to take some random glass jars I had in my collection (yes, I do have a collection of empty jars ;D), some basic paper glue and glitter (I chose red just because I love the colour and I thought it would stand out the most). 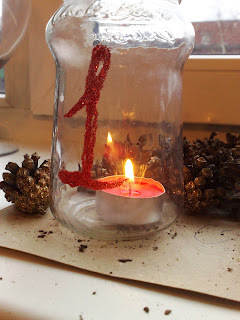 I used a small brush to make the shape of the numbers with the glue and a fluffy brush to dip it in the glitter and then tap the brush so the glitter would fall on the glue. I've tried pouring it straight from the little glitter container before and i don't know if it's just me but it made a huuuge mess. 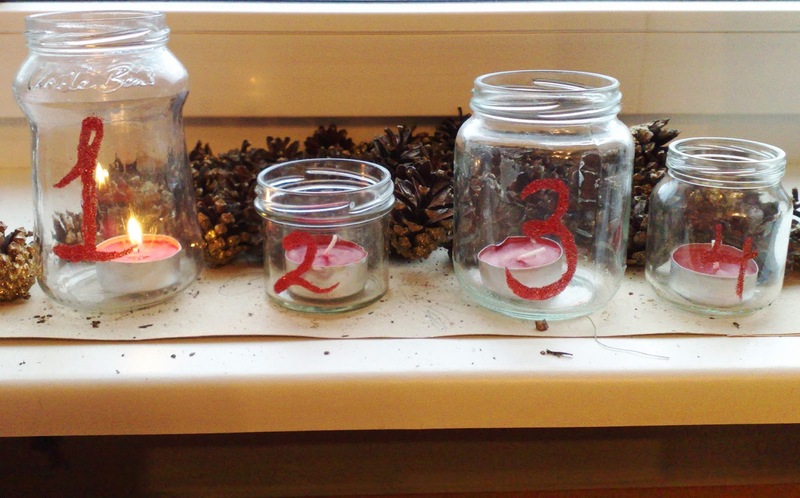 It was a little messy even using the brush but not as much as pouring from the container. When the glitter had completely dried I brushed off the excess with the fluffy brush, then added some candles and... Ta-Daa! Very easy and quick (it probably took me under 30 minutes to make these).